This 7/8 version of our popular Shen Willow has deeper ribs and wider bouts with a comfortable 42" string length. 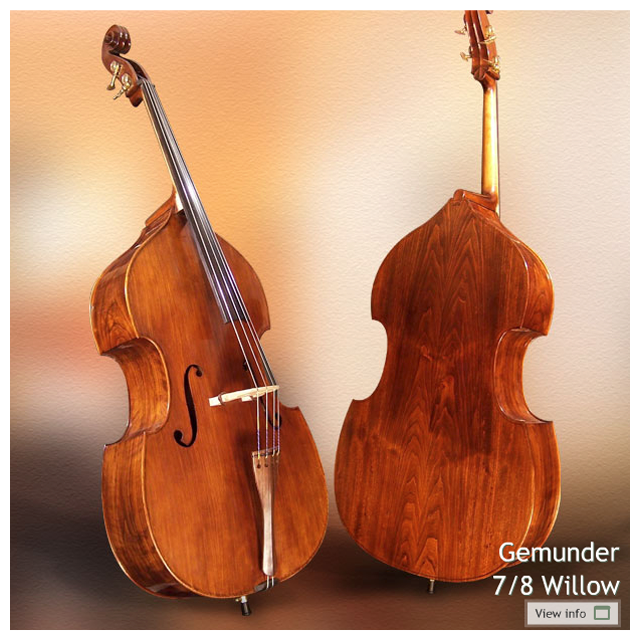 This bass has more power and low end extension than you can imagine for an orchestra or symphonic band. It also lends itself naturally to any jazz trio looking for that amp-less big bass sound.